Welcome to BC Gymnastics! Please complete the following registration form. Then complete your Parent Portal registration. Class spots cannot be held without payment. Paying online with a credit card is the only way that you can ensure your child's class spot. Waiting to pay in person by check or cash will lessen your chance of enrolling in your first class choice. Please carefully read class descriptions to ensure correct placement for your child. Children enrolled in class levels that are neither skill or age appropriate will be moved. Rec Class Policy: I understand that classes are to be paid for in full at the time of registration. Unpaid accounts without response will be dropped within 24 hours of enrollment. I understand that I will not receive make up classes, credits or refunds if my child misses class due to personal reasons, school functions, common illness or family affairs. This is provided only if BC Gymnastics cancels class. I understand that refunds will be given only in the case of extended illness or injury with a doctor's note, or for classes canceled due to insufficient registration and a $5.00 rescheduling fee will be applied if I need to change a class after registration. Checks should be made out to Baltimore County Gymnastics, Inc. I understand that there will be a $15.00 charge for all NSF checks and class spots will not be held without full payment. Team Payment Policy: All monthly fees (tuition and/or meet fees) are due by the 5th of the month. If paying by cash or check, I understand I must pay at the office, during office hours before the 5th of the month. I understand that all outstanding fees will automatically be charged to the credit card on file for my account on the 6th of the month. a result of participation in the Activity. I understand the importance of following the coach's instructions regarding technique, training, and other rules and agree to obey all instructions. continue in full force and effect. I also agree to abide by the rules and policies as established by Baltimore County gymnastics,Inc. I agree to pick up my child(ren) promptly at the time set for the end of the program/activity from inside of the lobby of Baltimore County Gymnastics, Inc. I understand my child's enrollment will be forfeited without refund if I am continually late for pick up. I authorized any adult representative of Baltimore County Gymnastics, Inc to call for medical help if I cannot be reached. For Competitive Team, I give permission for my daughter's name, and meet results to be published on the internet by USAG and it's member clubs. I give BC Gymnastics permission to post my gymnast's photo on BC Gymnastics' social media (Facebook and Instagram) and gym web sites. For competitive team parents, I have read the BC Gymnastics Team Parents Handbook and the Parents Association Bylaws. 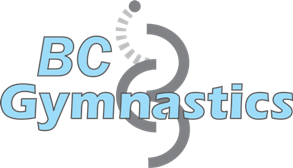 I understand my commitment includes following the rules and policies of BC Gymnastics, as well as the fundraising and volunteer guidelines as described in the Parents Association Bylaws. I understand that I have the opportunity to propose amendments to the bylaws by following the procedure described in Article 14, Section 1 of the Bylaws. I have read in detail all above rules and policies.